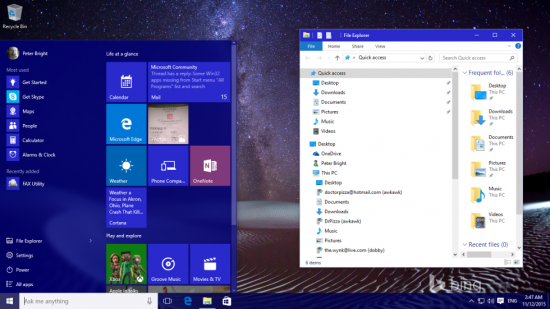 Is Windows 10 Ready for Enterprise Software Development? In terms of adoption rate, Microsoft’s latest iteration of Windows proves to be the most successful yet. Claiming to be the final version of Windows, Microsoft is betting on the fact that Windows 10 will appease consumers and the enterprise alike through software updates pushed by their development team. Their latest update caters to both populations by introducing tweaks to improve visual consistency and security. Let’s take a closer look. Words are king, and Microsoft’s latest software development update recognizes that. Context menus and the iconic tiles become more useful by displaying more text information to the user. Additional resizing options compliments this new feature as the user is given more options to display text information. Cortana, the Siri of Microsoft, catches up by adding functionality that’s present in its competitors. She, yes she not it, can tell you about missed phone calls, alert you about upcoming meetings, and even put Windows to sleep when you’re out of the office. Most importantly for the Enterprise, Microsoft is rolling out Cortana to most major world markets, allowing for universal adoption of her features. Aero Snap is a fan favorite among Windows features as it is visually mystifying and useful at the same time. Aero Snap is now smarter and more intuitive across all platforms, including mobile and tablet. Taking note from Google Hangouts and Apple iMessage, Microsoft rolls out its own proprietary messaging system. This gives businesses the ability to communicate seamlessly without any additional software. 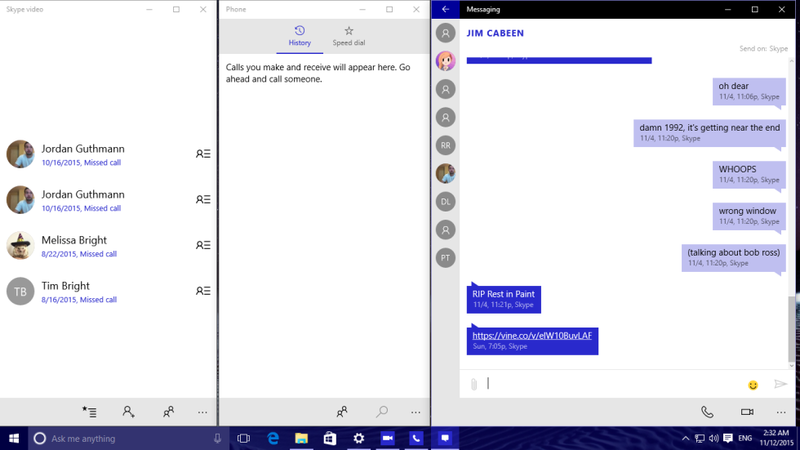 Microsoft looks to make their Skype-based platform into the new messaging norm as oppose to an alternative. Paramount for all businesses, and some consumers, is security. Microsoft beefs up its security with the latest update with better encryption and more security features for business clients. It’s clear that Microsoft is serious about keeping its crown as the enterprise operating system king. The jury is still out, however, on whether it’s ready for enterprise software development. One thing is for sure, they are taking the right steps.